How gloriously addictive it is! 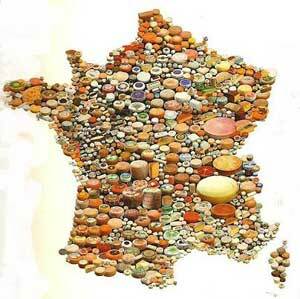 An overpowering obsession with it is the birthright of any self-respecting French citizen ! Cheese… !!!!! Some countries may be richer in other natural resources but France leads the world in one area of deliciously inexhaustible wealth. Our gastronomic treasure trove comes from our rich individuality, our determination to be different, our stubbornness to never be outdone by our neighbours, and our loyalty to the regional idiosyncracies of our ‘terroir’. It is little wonder that De Gaulle ascribed the difficulties of ruling France to the frustratingly, deliciously diverse range of gastronomic delights of our national cheeseboard (‘How can you rule a country with more than 400 different types of cheese?’). turning of a scraper. This cheese has the unfortunate disadvantage of being Swiss, but it is clearly, like the Swiss, doing its best to be French. This is perhaps the most vexing and controversial of the philosophical debates which animate dinner tables on the opposing sides of the Channel. To the consternation of visitors from ‘Outre-Manche’, cheese in England is traditionally served after dessert and generally with a glass of claret or port. This is sacrilegious for the French. In France, cheese must be served before dessert, enlivened by a fresh green salad. 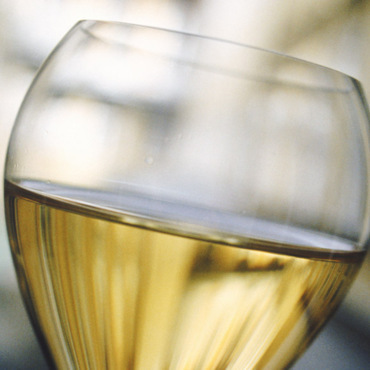 Many experts would also recommend that you swap your red wine for the subtler alternatives of a good yellow wine of the Jura, a Silvaner from Alsace or a Picpoul de Pinet from Languedoc. The English may feel that the robust coarseness of their Cheddar benefits from being swilled down with red wine but too much tannin can drown the more refined delights of the great French cheeses. A good cheese tray should offer the extra range of flavours and colour that come with the decorative addition of walnuts and dry fruits. It should offer visual and gustatory variety but should never be overloaded such that there is too much choice (you must show that you have chosen your cheese with the same care as your wine) or such that guests have difficulty serving themselves (on the assumption that your dinner parties do not include a ‘maitre d’hotel’ with a cheese trolley). It is also clearly a major ‘faux pas’ if your cheese is too cold , so your choices must be taken out of the fridge at least one hour before serving to allow their flavours to develop properly. Last but by no means least, you must not forget the bread. 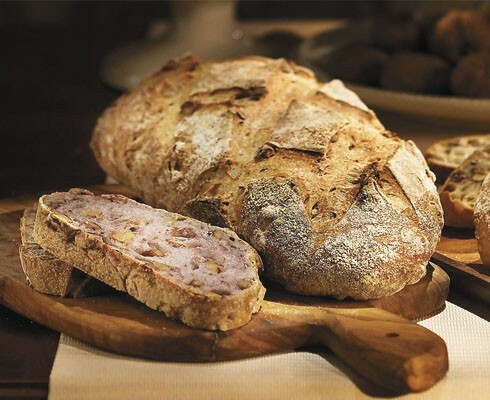 A delightfully simple baguette, a gloriously tasty walnut and grape loaf, or some interesting sourdough - anything but the biscuits that too often disgrace English tables !! 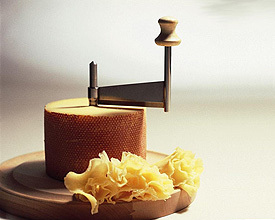 Since 1909 the Parisian cheese making and maturing House of Androuet has preserved the heritage of cheese making. It was founded by Henry Androuet, then continued by his son Pierre, inventor of the famous Bourguignon cheese, the Brillat-Savarin and founder of a cheese restaurant in Rue D’Amsterdam, Paris. Faithful to tradition, the House of Androuet works hand-in-hand with the smallest farm producers. For Christmas, The Androuet cheese shop has on offer a selection of Christmas hampers. For example, the “Henry Androuet hamper” is composed of Brie de Meaux, Epoisses, Westcombe Cheddar 16 months, Stilton and Titounet. 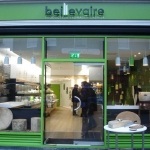 The Cheesemonger Beillevaire has been producing some of the best French cheeses for 30 years. 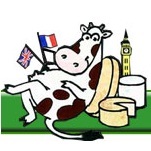 Still passionate about helping customers to discover their products , their staff advise and serve with enthusiasm and expertise .The company is unique in London because it produces its own cheeses, yoghurt, butter and cream. 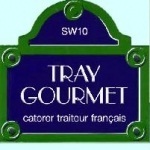 Tray Gourmet is first and foremost a service company. They provide customers with the best-suited solution to their catering needs, with the help of their professional and dedicated team. Une Normande à Londres sells a large variety of French cheeses on markets in London. Their selection includes more than 70 different cheeses from the classic Camembert or Brie to the more obscure Tête de Moine or Sainte Maure. 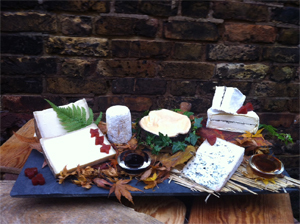 This year, une Normande à Londres has chosen Charolais, an unpasteurized goat’s cheese, with a cream or blue-tinged rind. Its slightly acidic, walnut and mushroom flavours work well with a drizzle of Corsican honey. Beaufort d’Alpage is a nutty lingering unpasteurized cow hard cheese from Savoie, The Prince of Gruyere cheese made right up the mountain in a chalet. Brillat-Savarin with truffles follows, it is a triple cream lush buttery unpasteurized cow’s cheese, that was prepared with black truffles. The Vacherin du Mont d’or never fails to attract interest, spoon it at will. Bleu des Basques is a dense Stilton like blue veined cheese made of pasteurized ewe’s milk in the Basque country. It has a lingering nuttiness and fruit hints that will conclude well any cheese platters. To accompany the cheese, our new favourite Champagne the Waris-Larmandier Sensation, it fizzles on your tongue with zesty citruses bubblying cheese flavours around your mouth, both white and walnut and raisin bread, some quince paste, it works admirably with blue cheese, a small pot of Corsican honey and some black cherry jam. Merry Christmas!!! I am Jerome. The platter put together by Une Normande A Londres should be enjoyed in the same order given in the description. Regarding the cutting, though i agree cheese must be cut in a certain manner, such festive occasions allow for a bit of Laissez-faire. 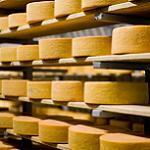 Feel free to come and see us at our new champagne and cheese pop up at Covent garden to discuss cutting the cheese. I am surprised that the article said nothing about the order in which cheeses should be eaten; surely there is no bigger epicurean faux pas than to start with the blue, or other stronger cheeses? There is also the hanging offence of cutting them incorrectly. This is the reason why they are always served by the waiter or "portion controlled".